We all know that technology changes at lightning speed and website design is no different. An increasingly high percentage of my working week is spent upgrading old HTML CSS websites to new mobile responsive WordPress websites. This article might convince you that you need to change your website to WordPress. Here are some warning signs alerting you that you need to change your website to WordPress. It was built more than 3 years ago. Most industry experts agree that a website should get a redesign every 2-3 years due to changing techniques and technology. If your site was built more than 3 years ago, it will definitely need a redesign to catch up (or stay one step ahead) of your competitors. It looks and feels outdated. If your website’s pages look like something you could’ve typed into Microsoft Word, you most definitely are using out-dated design methods. If your site looks out of date to you, it certainly will look outdated to your visitors and potential customers. It contains outdated, inaccurate information. After 10 seconds on your homepage, your website visitors need to know the 3 Ws – who you are, what you do and where you’re based. Fact is if they can’t, your website is going to turn them away. My own homepage provides a great example of this – the top couple of hundred pixels alone tell you I am Robbie, I design and develop WordPress websites and I do it from my base in Wicklow! It doesn’t rank well in Google. Even if you are happy with the look of your website, if it doesn’t rank in Google and therefore doesn’t get enough traffic, what value does it actually provide you? It uses fancy Flash animation. One word – OUCH! Whilst Flash was cool many, many years ago, it is totally search engine unfriendly meaning your rankings suffer because of it. Flash may even prevent your visitors from viewing your site as it plain and simply doesn’t work on Apple devices and can take an age to load on old browsers. It doesn’t interact with social media. In an era where social media sites like Facebook and Twitter boast millions of members, allowing your site visitors to share your content easily will both provide you with additional exposure and is also considered to be a positive factor in search rankings. It doesn’t respond to mobile devices. Plain and simple, if your site is not set up to display well on mobile devices (smartphones, tablets, iPads etc.) you will lose customers left, right and centre. 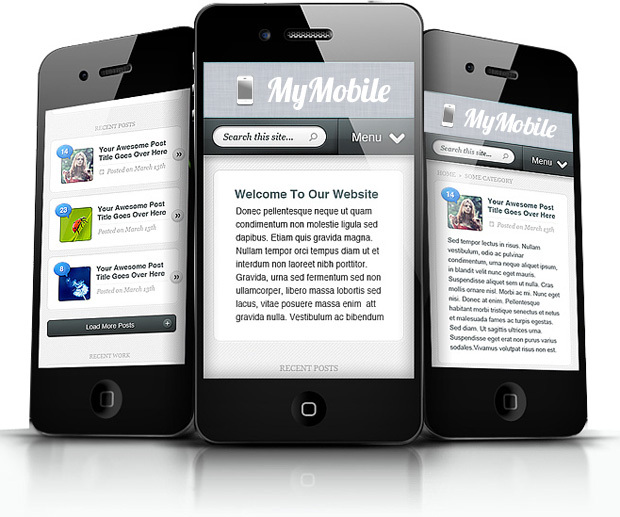 Google also gives an advantage in search results to sites which are mobile responsive. You pay a web designer for every change. Paying expensive fees to web designers in this day and age for simple things liking changing text or photos is unnecessary. All sites I build have WordPress as their Content Management System (CMS) so that you or any member of your staff can login and make changes when needed. Let’s make this one super simple – every page on your site needs a call to action. Whether you’re trying to get your site visitors to sign up for a newsletter, donate to a charity or hit the buy now button, every page should have a big and bold call to action. Your site is slow and takes a long time to load. Similar to responsive web design, the trend now is to make sites load faster. Most web developers agree that if your website takes longer than five seconds to load, visitors become impatient and leave your site altogether – a potential new customer lost. Google also gives preference to sites that load fast. Whilst your old website might still look okay on desktop computer screens and laptops, it might not respond and adapt to other devices like tablets and mobile phones. With the number of internet visitors using mobile devices to browse the internet increasing, your website needs to be responsive. Here is a breakdown of the key features you will enjoy when you change your website to WordPress. Whether your site is viewed on smartphone, tablet, laptop or desktop – your new WordPress website will adapt to the various screen sizes of the many different devices. No longer will your site’s visitors need to zoom and scroll to view your site. Having your website built using the Content Management System (CMS) WordPress, means it will be super easy to update. There is even a mobile app where you can type in blog posts from anywhere. No longer will you have to pay expensive web designer fees when you want to change photos or text. Many Search Engine Optimisation (SEO) experts share the following tip – if you add a minimum of 2,000 words per month to your website, Google will automatically place your website higher than a static website that never changes. WordPress makes it easy to create great content and with my page analysis tool, you will be guided as to how to tweak that content to rank on page 1 of Google. Taking advantage of Google Fonts, no longer are websites stuck with the fonts Arial and Times New Roman. The WordPress themes I build on means your design is limited only by your imagination. WordPress allows you to transform your website into a feature rich eCommerce online shop with ease. Delivering enterprise-level quality & features which allow you to sell your products online and accept credit card payments through your chosen payment processor, typically PayPal or Realex. Redesigning websites today isn’t just about changing the look and feel, a good redesign goes much deeper than that. The functionality, presentation and search engine foundation are all things that are prompting website redesigns on a daily basis. Choose Domain Name & Hosting. Register your domain name and secure hosting for your website. Download and complete my project planner so I can determine your requirements. Depending on your budget, I will propose 1 or more design options based on your completed project planner. Look Forward to Site Launch. Sit back and relax while I build your website, set it up for high Google rankings and launch it live. Does your website need a redesign so it is responsive, easy to update and ranks high in Google? Contact me for a quote.